e’re glad you’re here. It means you’re forward-thinking and proactive about planning your trip to Iceland. As with other aspects of your trip, creating an Iceland Packing List requires a lot of planning and should not be left for last minute! We recommend doing a test run a month or so prior to ensure you remember everything and that it all fits into your bag prior to leaving for the airport. 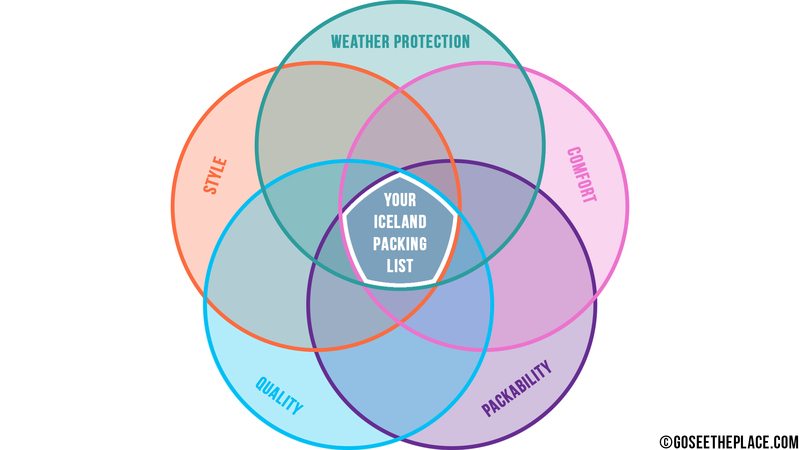 In the link below, we’ve provided a free Iceland Packing List to help you make sure you’re thinking of everything you’ll need, as well as the things you don’t. In this post, we’ll be covering only clothing since it makes up the bulk of what you’ll need, and we’ll be posting many more articles in the near future – everything from luggage, electronics, camera equipment, miscellaneous extras, as well as the things you should leave at home! So stay tuned! 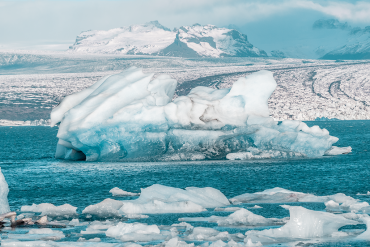 There’s a lot to cover but before we dive into the Iceland Packing List, we need to cover a few details regarding Iceland in order for these tips and suggestions to make sense. Despite what its name might imply, as well as its proximity to the North Pole, Iceland isn’t as cold as you’d expect. Its year-round temperate climate is due to the Gulf Stream – warm water is drawn up the North American Coastline from the Gulf of Mexico, around Iceland and Western Europe. Because of this, there’s not as big of a difference between summer and winter temperatures as you may think. Iceland does, however, experience unusually volatile weather. Relentlessly powerful winds come from the Arctic’s high-pressure system which moves rapidly across the Arctic Ocean from the East towards Iceland’s low-pressure area, drawing warm Atlantic air in with it. All seasons of the year can be experienced in one day and Iceland’s treeless tundra does little to diminish the ferocity of the wind. The video below is a short clip of Iceland’s extreme weather. It’s only a minute long, so be sure and give it a watch to see what the wind can be like! If you’d like to know more about Iceland’s weather, you can visit Weather and Climate.com to learn more about a specific town or region. Iceland is not a budget-friendly destination. According to Numbeo.com, the cost of living in Iceland is nearly 40% higher than the United States; with an average meal at an inexpensive restaurant costing around $20usd, and a gallon of gas about $7usd! In the table below, we’ve provided a cost analysis breakdown of our 1-week trip to Iceland via campervan in the fall of 2018. You can see that the campervan itself was by far the greatest expense. Contrary to the popular idea, renting a campervan in Iceland is not a cheap alternative to staying in hotels and eating out at restaurants. 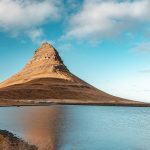 Due to Iceland’s rather extreme weather that we talked about above, camping or backpacking is also not an inexpensive way to explore the country. You’ll have to invest in some serious outdoor gear if you don’t already have it. Consider that we already possessed most of the equipment prior to our trip and you can imagine how much more expensive it would have been for us. Sadly, no matter how you choose to visit Iceland, it’s going to cost you a lot of money. 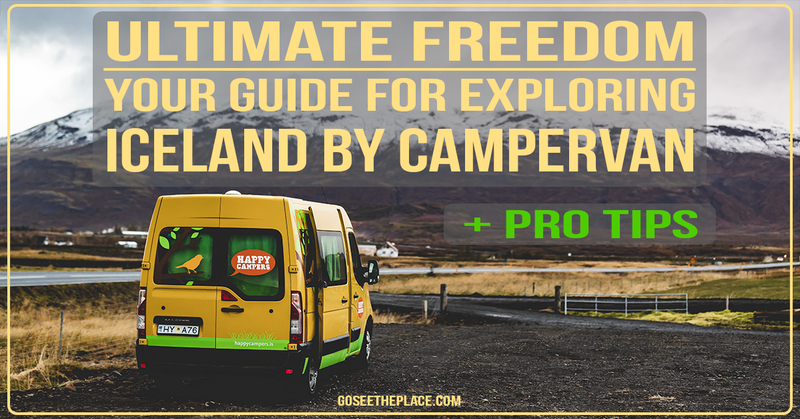 We’ve already written a post on everything you need to know about renting a campervan in Iceland, so we have linked it here in order to shorten an already long article! Click on the Image below to read the post! 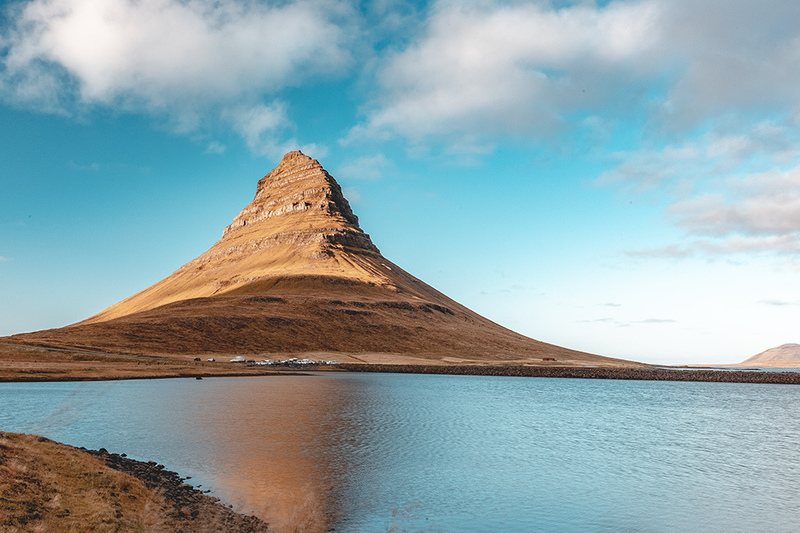 More-so than other destinations you’ve traveled to, the time of year you choose to visit Iceland has a huge impact over what you’ll experience during your trip. In the chart above, you can see there is a drastic difference between the hours of daylight the country receives each season. The summer months experience nearly 24 hours of continuous sunlight due to the island’s proximity to the North Pole, while the winter months receive a brief few hours in the middle of the day. 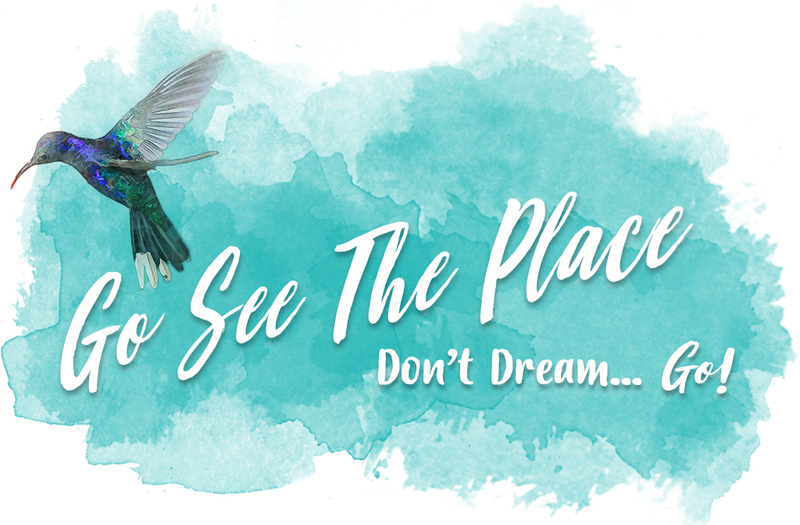 This affects everything from what tourism industries are operating at a given time of the year, to your ability to witness the incredible natural phenomenon of the Aurora Borealis, or the Northern Lights. The spring months in Iceland are April and May when the snow starts to melt and tourism industries that were closed during the winter start to open back up. The average daily temperature is in the low 30’sF to the upper 40’s Fahrenheit with normal daylight hours between 5 am and 8 pm. Springtime is shoulder season in Iceland which means less tourists at popular spots but also less hotels available as they may still be closed for winter. The return of the Sun’s light means your optimal chance to see the Northern Lights decreases rapidly the closer it gets to Summer. Summer in Iceland is from June to August and is the country’s busiest time of year for tourism. Hotel accommodations are nearly impossible to find as rooms book up fast, and far in advance. Popular sights around the island become incredibly crowded. Summer is the best time to see wildlife as both Puffins and Whales return to Iceland, and Horses and Sheep are let out to roam the landscape. This is the only time of year to explore the Central Highlands since the F-roads are re-opened after the snow melts. 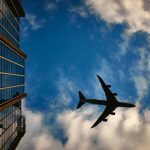 This is the best travel period due to high chances for clear and sunny days. Daylight hours are long with the sun never setting in the middle of summer and the least amount of rainy days on average. Due to the midnight sun, the Northern Lights cannot be seen during this time of year. Summer is Iceland’s warmest season, but average temperatures only climb to the mid 40’s and upper 50’s Fahrenheit. 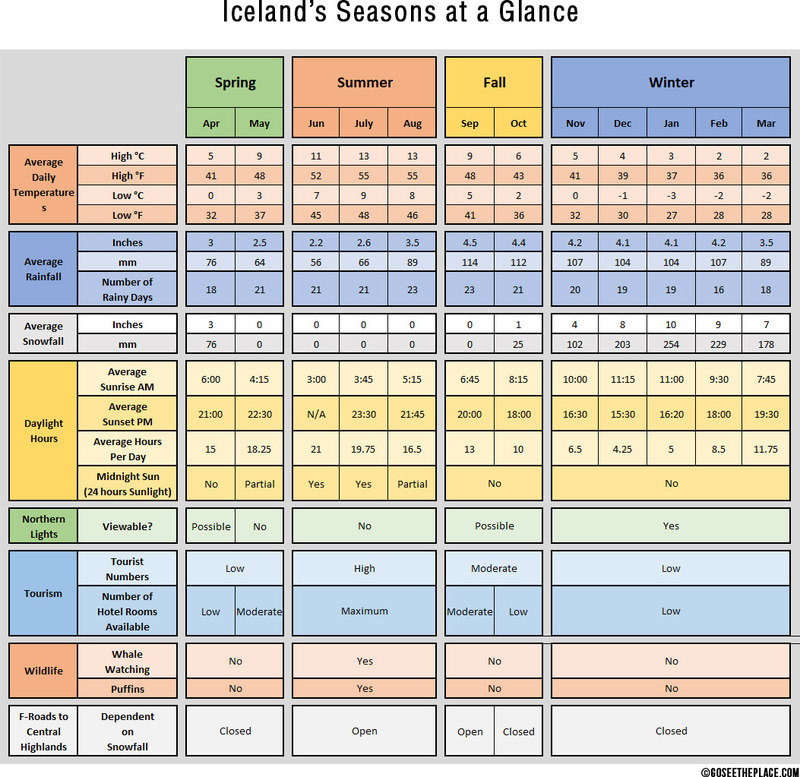 The Fall months in Iceland are September and October with daylight hours returning to normal. The return of darker skies means the return of the Northern Lights near the end of September. But that’s also the month with the highest average rainfall of the year which means visibility is decreased because of cloud cover. Fall is another shoulder season, and the end of Summer means many businesses close for the year as tourism declines. You can expect average daily temperatures between the mid 30’s to the upper 40’s Fahrenheit as well as increasingly unpredictable weather. Winter is Iceland’s longest and coldest season – from November to March. January is the coldest month on average, but temperatures of the low 20’s to the low 40’s are relatively mild given the country’s latitude. There are however harsh weather conditions of rain and snow in combination with unbelievably strong winds and from December to April, there is a lot of snow in Iceland. Access to the Central Highlands is closed off after the first snowfall blocks the F-roads. Despite this, winter is the best time to see the Northern Lights as there are only a few short hours of daylight each day. 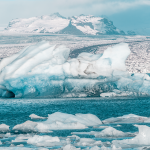 Weather protection – You’ll need to protect yourself from Iceland’s rather intense and relentless wind as well as some days of constant rain or snow. Comfort – Clothing should fit correctly and keep you warm and comfortable while you’re out exploring. Packability – Everything you pack must fit the cramped confines of your campervan without driving you nuts. Quality – You’ll be investing a lot of money in outdoor travel gear, so you might as well purchase clothing of superior quality that is durable enough to last you for many years. Style – Choose colorful clothing that contrasts well with Iceland’s monochromatic landscape but still works equally well while touring any major city. 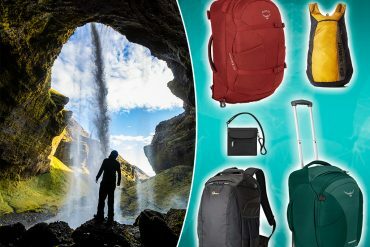 Ideally, you’ll want to be somewhere in the middle of all of them – with weather protection being the baseline for what you ultimately decide to pack. 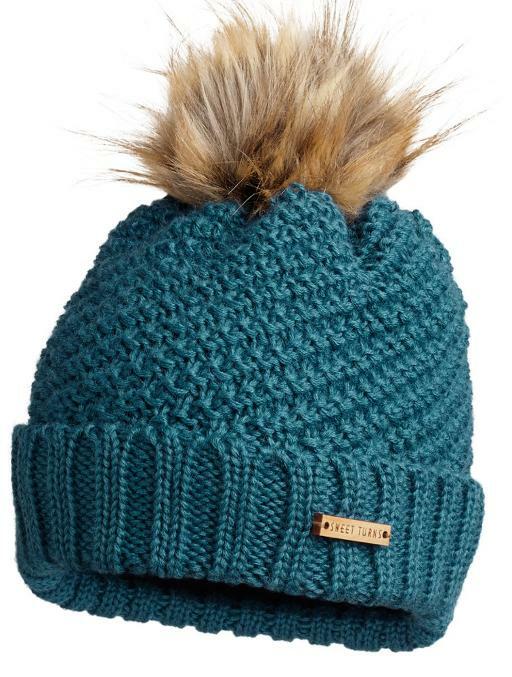 PRO TIP: Shop for cold-weather outdoor gear towards the end of the year. 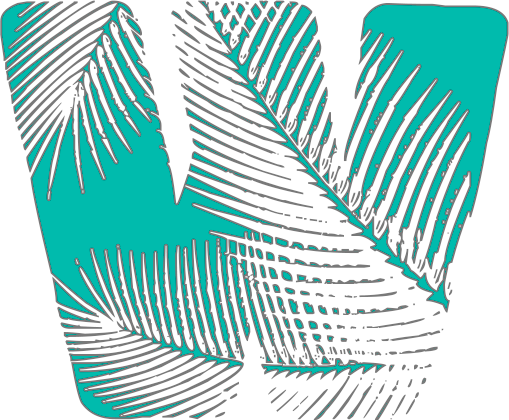 Clothing manufacturers often place this year’s items on clearance in order to make way for next year’s stock which has been changed with only minor tweaks (like optional colors, fabrics, coatings, and stitching.) You can often find the article you want, marked down a hundred dollars or more; just don’t have your heart set on a specific color as you’ll be choosing what’s left in stock. Your best bet is to do a Google Search for a specific article of clothing and see what each retailer has left in stock in your size. 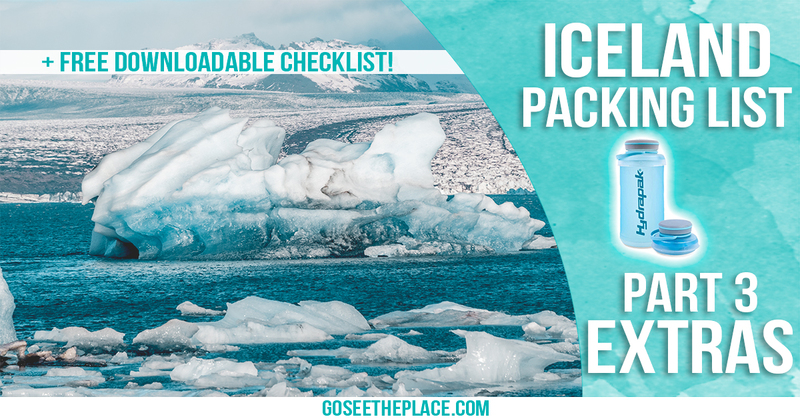 Click Here – I want to skip ahead to the Iceland Packing List! You’ve probably heard the phrase, “dress in layers” when someone’s suggesting what you should wear outdoors, but what exactly does that mean? The Layering System is a method of layering certain types of clothing together to keep you dry, warm, and comfortable in a variety of conditions. This works by allowing you to add or remove garments depending on how comfortable you feel and what conditions you’re in. You might think that the colder the climate, the thicker the clothing you’ll need, but that’s actually not the case. 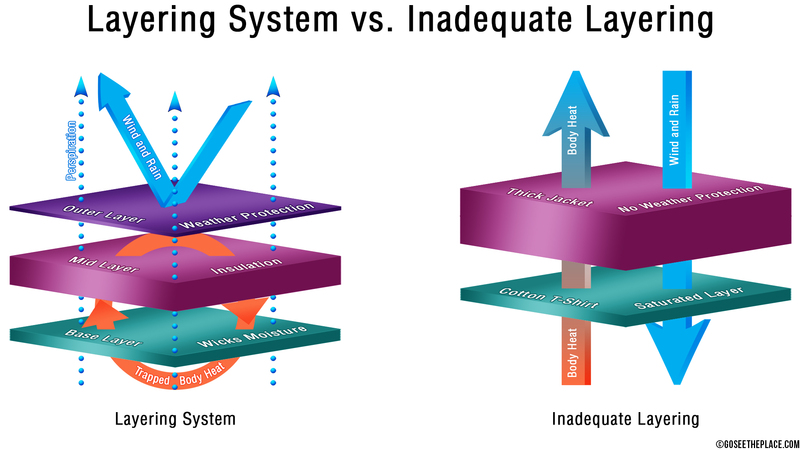 The ideal system consists of three layers: an Outer, Mid, and Base Layer. Each layer performs specific functions to keep you dry, retain your body heat, and protect you from the elements. High-quality outdoor clothing will prevent rapid cooling through evaporation and even prevents overheating by using breathable fabrics that are still fully waterproof. This layering system is important for your Iceland Packing List. Let’s take a look at each layer in a little more detail! Think of your Outer Layer like a Shell – a protective coating shielding your skin from Iceland’s extreme weather and trapping your precious body heat. It does not keep you warm on its own. Your Outer Layer blocks wind and rain from penetrating to the layers underneath, allowing them to do their job of insulating you better. Your Outer Layer is the most important layer for weather protection. It must be Completely Water-proof and Wind-proof. For your Iceland Packing List, avoid any Shell/Outer Layer that claims to be Water or Wind-Resistant. These fabrics DO NOT keep you 100% protected from wind and rain and you will end up soaking wet and extremely cold! You must look at the product specs to ensure it says Water/Wind-PROOF, NOT Resistant. Most ski and snowboard jackets are usually only water and wind resistant to prevent the user from overheating during increased physical exertion and therefore not recommended for your Iceland Packing List. An easy way to immediately know if a garment is waterproof is to look for this label. 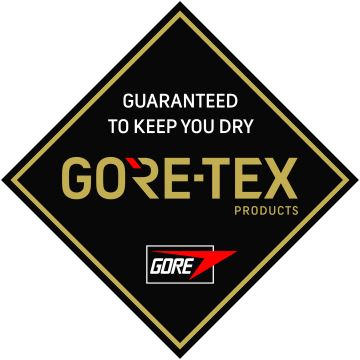 Gore-Tex™ is a fabrics manufacturer that is the gold-standard for waterproof, breathable, and lightweight fabrics in the industry. Outdoor clothing brands, like The North Face™ and Arc’teryx™, that get to use Gore-Tex™ fabrics must pass many rigorous quality standards, and anything that bears their name should be your first choice when considering the best Outer Layers to purchase. Test everything before you go! There can be defects in the fabric or the stitching during manufacturing so be sure to test your gear in case you need to return or replace it! Wear everything in the shower for several minutes, then put it back on a half-hour later to see if any water has penetrated the fabric. Outerwear is obscenely expensive in Iceland – more so than at an outdoor retailer like REI so don’t plan on “just buying something when I get there,” or you’ll be very sorry! 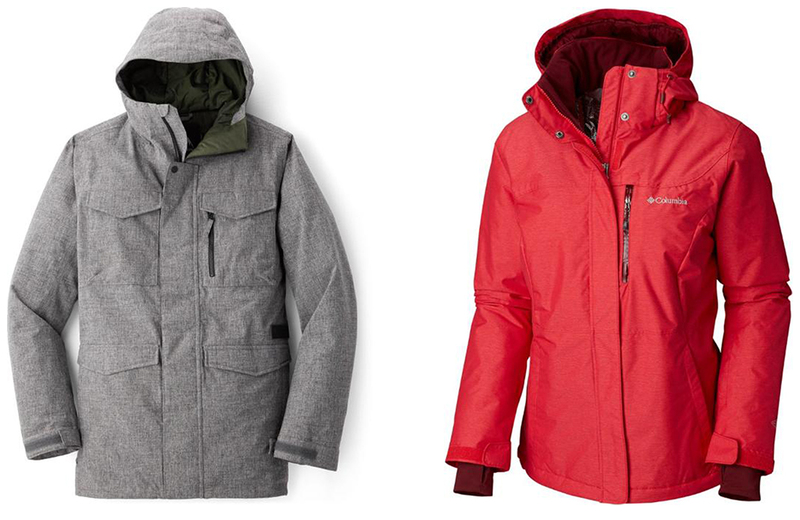 Your Shell Jacket is the most important item for Weather Protection while in Iceland. It’s your first line of defense against Iceland’s wet and windy conditions because it protects your core from exposure and heat loss. It must protect the entire top half of your body; chest, arms, and head and it’s imperative your Outer Layer Jacket have a hood. 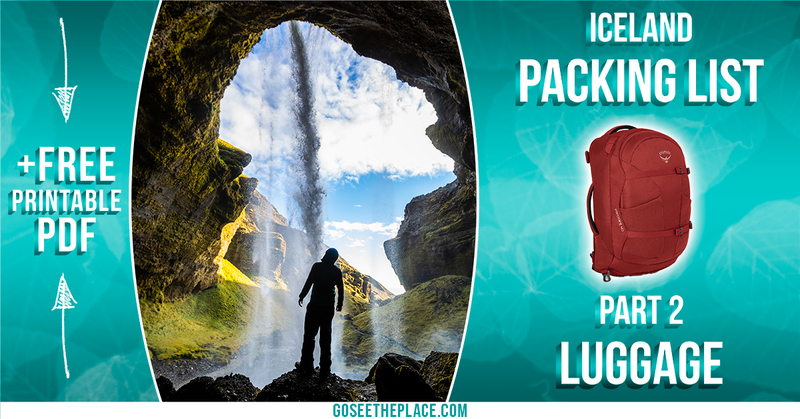 Don’t forget to include this item in your Iceland Packing List! The Good: Gore-Tex Fabrics make this jacket totally waterproof yet exceptionally breathable and abrasion resistant against backpacks or rugged terrain and full pit-zips help dump excess heat to cool you down during strenuous activities. These jackets also come in a variety of colors to choose from! The Bad: It doesn’t pack down into one of its own pockets and it’s expensive! 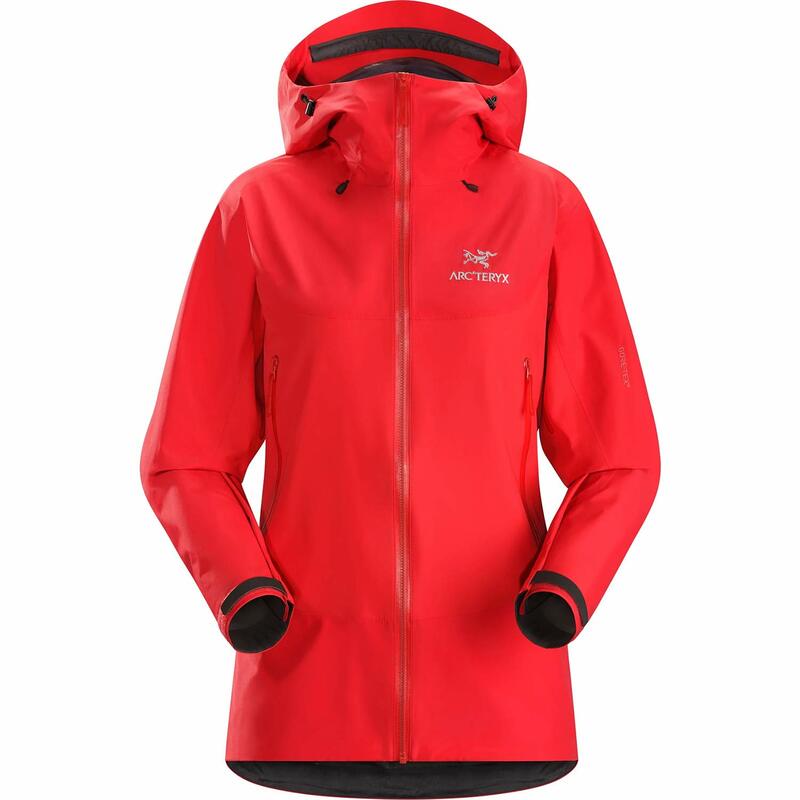 The Bottom Line: We recommend the Arc’teryx™ Beta SL Hybrid Jacket for both Men and Women – It checks off all the requirements needed: Weather Protection, Comfort, Packability, Quality, and Style. You’ll be able to count on this jacket for a variety of conditions, locations, and for years and years to come! We both own, and absolutely love this jacket and can vouch for its performance and style! The Good: Waterproof, windproof, exceptionally durable, affordable, stylish, and a great fit for athletic bodies. These Jackets come in a bunch of different colors to choose from. The Bad: The material of this jacket is a little thicker and heavier than more expensive shells making it less packable. It’s also not as breathable despite having full pit-zips which can cause overheating during strenuous exercises. The Bottom Line: The North Face™ Venture 2 Jacket has everything you need in a Waterproof Shell, including full pit-zips and adjustable cuffs and hood to keep the water out, as well as an adjustable waist strap to keep your clothing underneath protected from the elements and keep out drafts. While not as breathable as more expensive shells, it’s an excellent cheaper alternative to the Arc’teryx™ Beta SL for both Men and Women. The Good: Exceptionally cheap and totally waterproof! Waterproof ponchos are very lightweight and can pack into your pocket, making them convenient for questionable weather conditions. The Bad: Not durable enough for extended use and does not breathe at all! PVC Rain Suits are also very heavy and don’t compress enough for packing light. The Bottom Line: The absolute cheapest option would be a Waterproof Poncho or a PVC Rain Suit – But you get what you pay for, so don’t expect them to last for very long. They also do not breathe at all, so expect to overheat during the slightest physical exertion. We can only recommend these options if you’re looking for the least expensive weather protection and just need something to get by with for your Iceland Packing List. Slightly less important than your Shell Jacket are a good pair of Water and Wind-proof Pants. Expect to pay between $130 to $200usd for quality Rain Pants. The Good: 100% Wind and Waterproof with exceptionally durable fabrics, articulated knees, full side zippers, and the best fit of all the rain pants we tried. The Bad: They are a bit of an investment and the ankle cuff fits tightly around thicker boots. They’re also a bit noisy as Nylon tends to be. 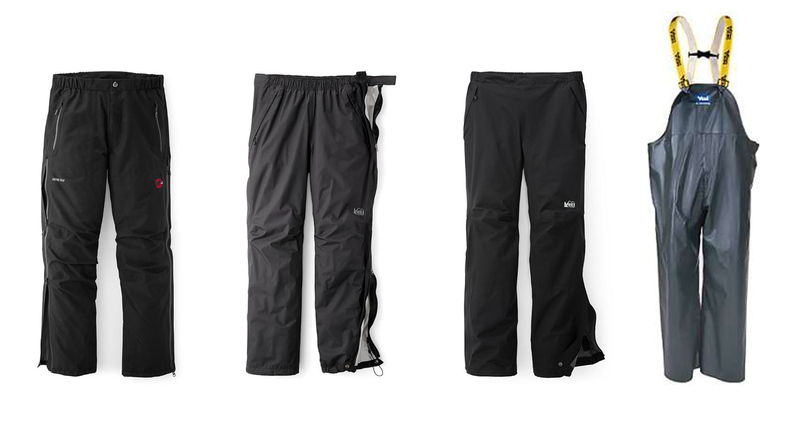 The Bottom Line: Our Rain Pants of choice are the Mammut™ Wenaha Rain Pants for Men and Women. They are made with Gore-Tex™ Fabrics which stretch well for different activities and are 100% waterproof yet still breathable. They fit well over regular clothes and have zippered cuffs that allow you to slip the pants on without needing to remove your boots! 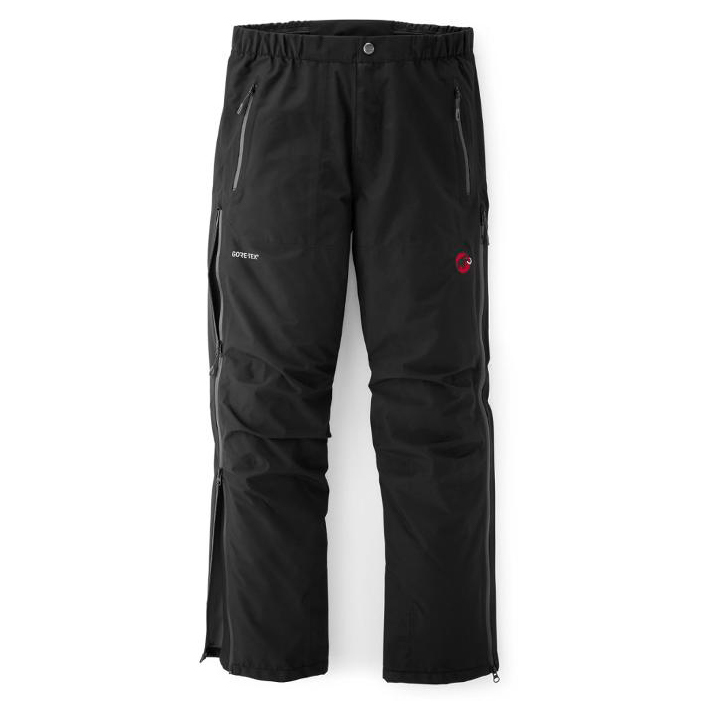 These are the Shell Rain Pants we both chose for our Iceland Packing List! The Good: Lightweight, breathable, affordable, windproof, and waterproof. 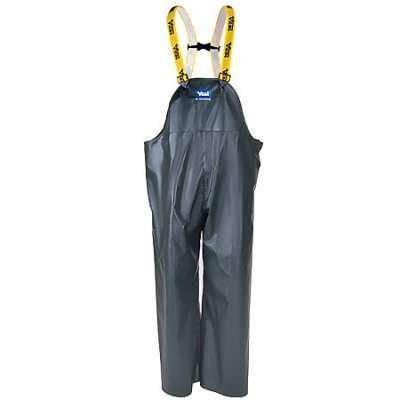 These are the only other pair of waterproof rain pants we found with full side zippers which make it easier to put them on without having to remove your boots first. The Bad: These waterproof pants didn’t feel as durable as the Mammut™ Wenaha Rain Pants and were pretty noisy when walking around. They were also a little baggier and didn’t fit quite as well, making them look like any other pair of nylon pants. The Bottom Line: The REI Rainier Full-Zip Rain Pants are another thoroughly capable pair of Rain Pants, and would make an excellent investment for your Iceland Packing List. The Good: Exceptionally cheap and totally waterproof! The Bad: Not durable enough for extended use and does not breathe at all! They’re also very heavy and don’t compress enough for packing light. PVC Rain Suits have highly utilitarian styling making them the least fashionable option. The Bottom Line: The absolute cheapest option would be a PVC Rain Suit – But you get what you pay for, so don’t expect them to last for very long. They also do not breathe at all, so expect to overheat during the slightest physical exertion. We can only recommend these if you’re looking for the least expensive weather protection and just need something to get by with for your Iceland Packing List. You’ll be facing many stream, creek, and river crossings as well as heavy rains, glacier treks, ice-cave tours, and opportunities to walk behind some stunning waterfalls! This means insulated waterproof boots are a must for your Iceland Packing List when campervanning around Iceland! We recommend choosing a boot with a high, over-the-ankle upper for added protection from deep puddles or water crossings. Whatever you choose, expect to pay between $60 to $200usd for great quality insulated waterproof boots. Boots, more than any other outerwear, should be tested for manufacturers defects due to the complexity of modern footwear. Be sure to test whatever boot you purchase no matter how waterproof they claim to be! The Good: These boots are wonderfully warm, totally dry, durable, and comfortable to wear all day. The Bad: Bulky, Heavy, expensive, hard to put on, and take some getting used to walking in them the first time you wear them. The Bottom Line: While not the cheapest or lightest option for Men’s boots, the Sorel™ Caribou Winter Boots are very warm and 100% waterproof, and feel exceptionally durable to tackle rugged terrain. These are the boots RJ chose to bring with him to Iceland and loves how high the ankle comes up, which allowed for deeper stream crossings without worrying about the water over-topping them. The Good: Totally waterproof, very warm, fashionable, great support for hiking, comfortable, and durable. The Bad: Bulky and heavy, you have to take the laces out quite a bit in order to slide your foot inside. Due to the size and weight of boots like this, walking for the first time feels different and takes a little getting used to. 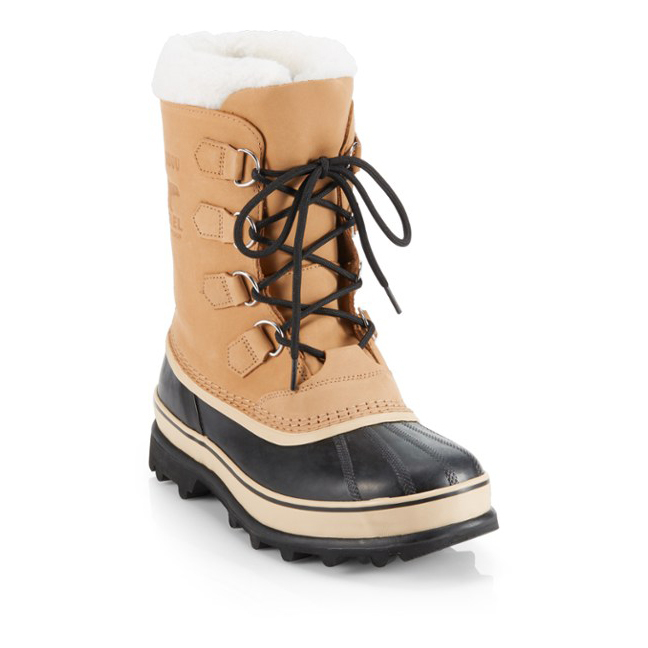 The Bottom Line: The price, functionality, and style of the JBU™ by Jambu Women’s Edith Snow Boot make them easy to recommend for your trip to Iceland. These are the boots Megan chose to bring and she found that they kept her feet nice and warm and totally dry the entire trip! The styling of these boots makes them perfect for a variety of different conditions – like touring a city, or hiking up to a secluded hot spring! The Good: Cheap, durable, totally waterproof, and actually kinda fashionable. 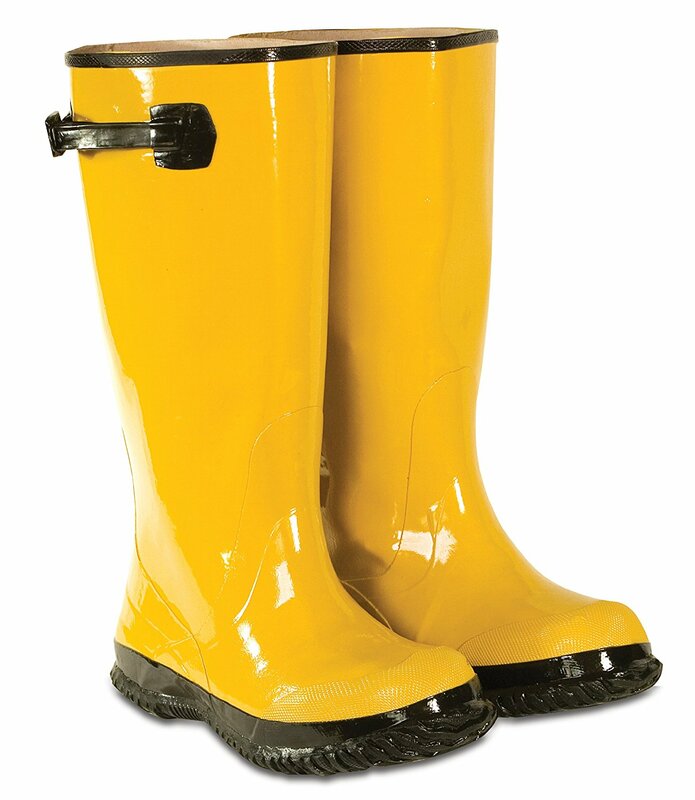 These rain boots are available in an almost infinite number of colors and patterns to choose from. The Bad: Very bulky, heavy, and not ideally comfortable or warm. The rigidity of these boots also makes them fairly hard to put on or take off. The Bottom Line: Your cheapest option would be a standard Rain Boot – they are 100% waterproof and incredibly durable, but don’t expect them to be exceedingly warm or comfortable to hike in. 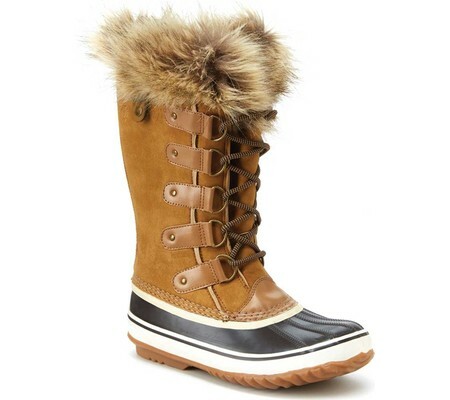 These boots are best for people who simply need something to get them by while in Iceland. Because they are too stiff for long hikes or wearing all day, you’ll probably want to also have another pair of boots with you for when the weather’s more agreeable – meaning you’ll have to pack more stuff. High-quality gloves will act like the Layering System in miniature; They will have a highly technical waterproof shell with plenty of sewn-in insulation, as well as a thin, removable liner for wicking moisture and adding extra warmth. Be sure to look for gloves with adequate gauntlets (the part that covers the wrist) to prevent water from dripping down into the inside of the glove. Like all other garments that make up your outer layer, your gloves will work best if they are wind and waterproof. This actually narrows down your search quite a bit because most winter gloves are not designed to be 100% waterproof anyway. Gloves that are only water resistant will become saturated with water after enough exposure, which will render them useless in cold conditions! We found this out the hard way because we took the winter gloves we’d already owned with us to Iceland, but they weren’t 100% waterproof. When we visited Seljalandsfoss Waterfall on a very windy and rainy day, our gloves were fully soaked with water before we made it back to the car. It took all day for them to dry out, draped over the heater vents in the van, and our hands were miserably cold the rest of the day! We’ve since purchased a fully waterproof pair of gloves for the each of us and have been much happier as a result! The Good: Nice and warm, waterproof, comfortable, and designed with all the features you could need from quality winter gloves. 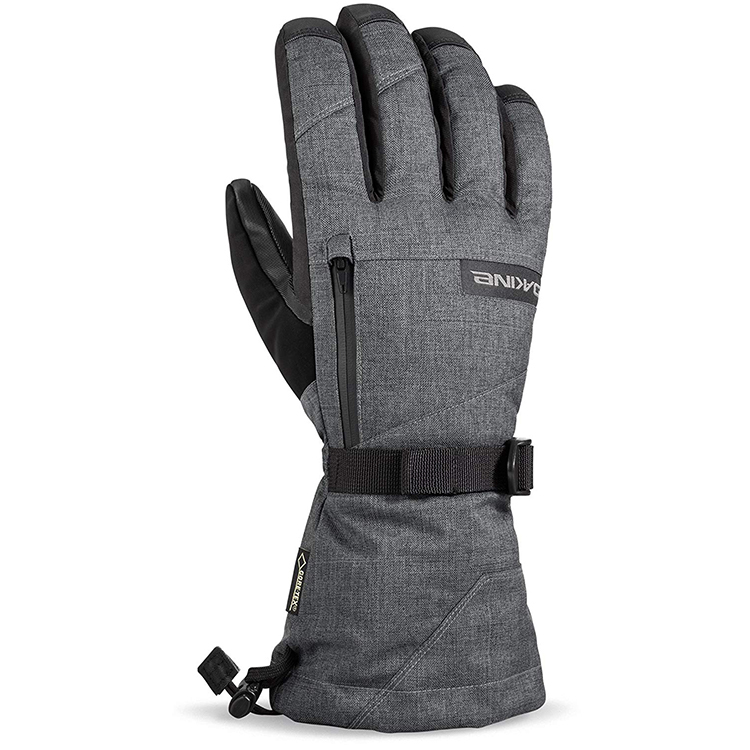 These gloves come with soft fabric on the thumb for wiping your runny nose, a zippered pocket for hand warmers, and two sinch-straps for keeping them in place and preventing water from dripping down inside! The Bad: These gloves only come in one color and are a somewhat expensive investment for anyone who already owns a pair of nice winter gloves that aren’t fully waterproof. The Bottom Line: The gloves we recommend for the cold, wet conditions in Iceland is the DAKINE™ Titan Insulated Gloves for both Men and Women! For the ultimate in warmth, quality, comfort, and weather protection look no further than the Alti Mittens by Outdoor Research™ – just don’t look at the price! If you already have an incredibly warm pair of gloves that aren’t fully waterproof, then consider getting a pair of Waterproof Liners to protect them from wind and rain. 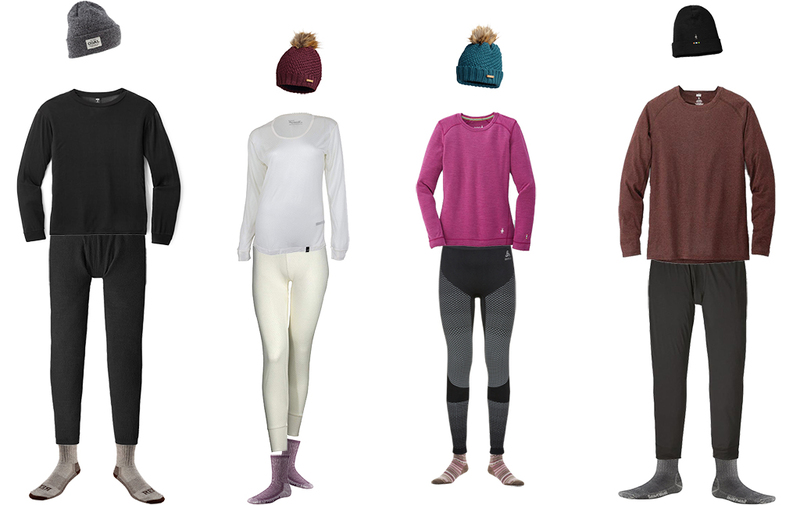 The Mid Layer is your insulating layer – designed to help retain your body heat. It’s called the Mid Layer because it is worn between your Base Layer and your Shell and typically refers to your Jacket and Pants. Good insulation is expensive, but necessary so spend your money insulating your core first, i.e. your jacket since that’s where you’ll want the most heat retention. It’s easier to think of your Mid Layer like the clothes you’d typically wear out in town on a cold day. You’ll want them to be fashionable but still functional. There is not one, ULTIMATE, insulating fabric for all situations – each one is suited best for a specific scenario and therefore, it’s easy to become overwhelmed. Below, we’ll look at the different insulation types to better help you decide on which to bring with you for your Iceland Packing List. Available in light, mid, and heavyweight (100, 200, & 300 weight,) Polyester Fleece is the most reasonably affordable insulating material with many stylish options to choose from. Polyester absorbs very little moisture, dries very fast, wicks moisture away from the skin, has excellent breathability so you don’t overheat, is lightweight, durable, and feels smooth and silky against your skin. The downsides of Polyester are that it is bulky and uncompressible so it doesn’t pack well, offers zero wind protection, becomes cold when wet, and stinks after a single use. Some people don’t like the feel of Polyester against their skin. Polyester is best suited for highly aerobic activities like extended hiking, backpacking, cycling, etc. in dry, windless conditions (keep your shell accessible in case the weather turns!) It is an excellent insulating layer as long as you protect it from wind and rain. Some manufacturers “treat” their polyester fabrics with odor-preventing chemicals for increased wear and longevity. Icelandic Sweaters are a very popular souvenir that is pretty highly coveted. Unfortunately, they are obscenely expensive and unbearably itchy – we think they should be avoided/are not practical unless you wear a long-sleeve, turtleneck base layer and have lots of disposable cash. 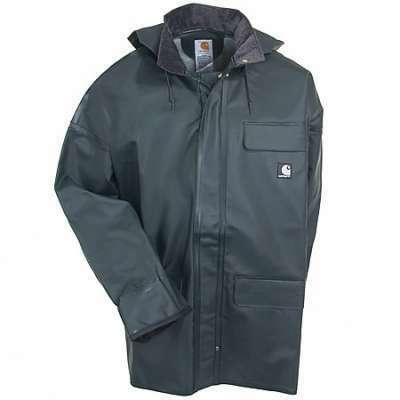 Down Insulated clothing provides the best warmth-to-weight than any other insulating material. It is measured in Fill Power (400 – 900 Fill) and is highly compressible for maximum packability. It’s also usually water and wind resistant due to nylon exterior fabrics and DWR coatings. Down-insulated clothing looks identical to Synthetic Fill, and Hybrid-Synthetic Fill insulation due to having the same nylon fabric exteriors. Unfortunately, Down insulation provides ZERO insulation when wet and takes a long time to dry. Down is also too warm during aerobic activities, making it very likely you’ll overheat. It is also very expensive. Down is best for anaerobic activities like sightseeing, urban exploring, walking tours, and travel days in very dry, cold and windy conditions; dry snow days; or during brief, light, drizzly rain. It is absolutely the best insulation material available for packability and warmth – almost too good – as long as it is protected from prolonged exposure to wet conditions. We would love to be able to recommend Down for its packability and warmth, but Iceland’s wet conditions mean you’re going to be cold and miserable if conditions get too wet. For this reason, do not include a down jacket in your Iceland Packing List. Synthetic Fill Insulation is very similar to Down in all but a few, key details. For one, Synthetic Fill is almost always cheaper than Down despite looking similar. It is measured in grams, i.e. 60g of Fill, and also water and wind resistant with similar nylon or polyester exterior fabrics and coatings as Down. Where Synthetic Fill truly shines, however, is its ability to stay warm even when wet – making it one of the best all-around insulating materials. While Synthetic Fill is generally cheaper than Down, it’s still expensive. It also requires a higher volume of insulation to match Down’s warmth and is not as compressible or packable. Like Down, Synthetic Fill also tends to be too warm for aerobic activities as it doesn’t breathe as well as Polyester Fleece. It is best for anaerobic activities like sightseeing in moderately wet conditions and urban exploring during cold, misty, or intermittent drizzly weather. It is an excellent alternative to Down in extremely wet conditions and if cost is an issue. New to the insulation game, some manufacturers are developing what some are labeling, “Hybrid-Synthetics” – Synthetic Fill clothing that mimics the loft and warmth of Down. 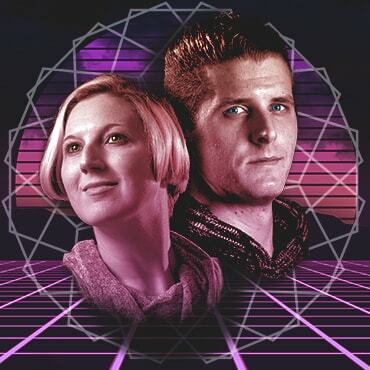 Their goal is to combine the packability and temperature regulation of Down with the ability of Synthetics to still maintain warmth when wet. Hybrid Synthetics, however, are a brand new and unproven technology that’s being explored by very few companies, making them the most expensive option of all the insulation materials. Additionally, each company is producing proprietary fill with different names, so understanding what you’re comparing is frustratingly difficult and blurs the lines between what’s considered Synthetic vs. Hybrid Synthetic. If Hybrid Synthetics do take off and become a more ubiquitous Mid Layer option, then they would be the ultimate option for minimalist travelers who face a variety of different conditions. They’re best suited for anaerobic activities like sightseeing, walking tours, or urban exploring and light aerobic activities during extreme cold and wet weather. 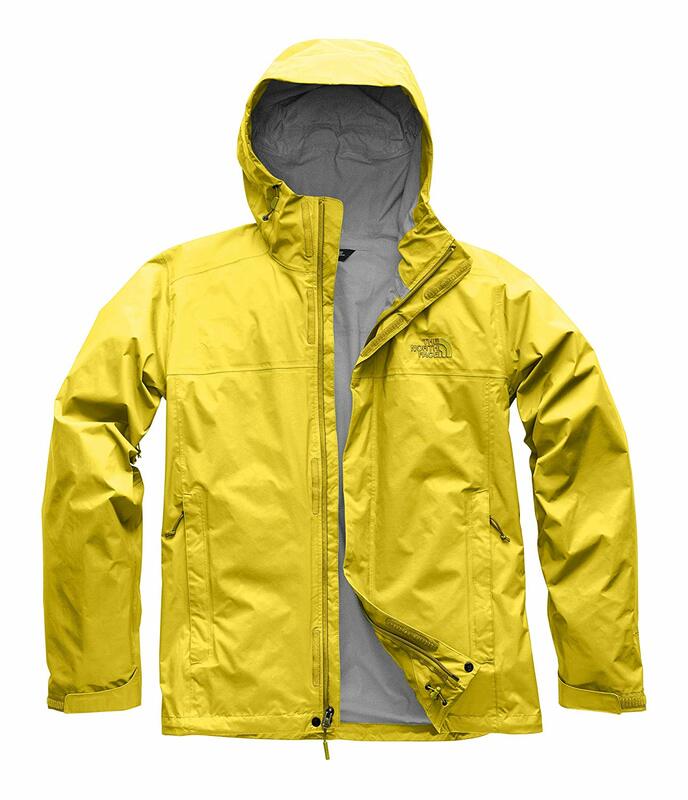 A Synthetic Fill, or Hybrid-Synthetic Fill Jacket for sightseeing or other non-strenuous activities as well as for very cold weather. A Polyester Fleece Jacket for highly strenuous activities where maximum breathability and overheating are a concern. We would love to be able to recommend Down for its packability and warmth, but Iceland’s wet conditions mean you’re going to be cold and miserable if conditions get too wet. The Good: This is the definition of what a quality insulation jacket should be – exceptionally warm, good looking, comfortable to wear, highly breathable, durable, and unbelievably lightweight! It stays warm-when-wet, packs down in its own pocket, and comes in a variety of colors for both men and women. The Bad: It’s an expensive jacket – though only moderately more than an equivalent Down Jacket. The hood is also a little too tight for our liking and the collar takes a little getting used to due to how high it comes up to the chin. The Bottom Line: Our pick for the best Mid Layer Jacket is the Patagonia Micro Puff Insulated Hoodie. It’s a Hybrid Synthetic Jacket that is the definition of warm, lightweight, packable and wind and water resistant. It comes with or without a hood, and we chose the one without the hood because we felt it was a little too tight. All in all, this is the best jacket we have come across not only for Iceland, but travel in general. Seriously, this thing is so incredibly warm and comfortable, it’ll become your favorite jacket not only for travel but everyday use as well. It also packs down into one of its own pockets for easy packing or as a travel pillow during your flight! 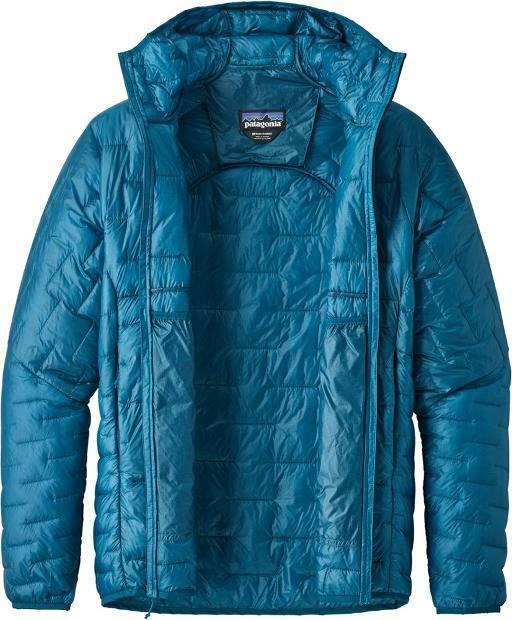 The Micro Puff has become RJ’s absolute favorite jacket for its warmth and packability. Hands down, this is the best jacket for your Iceland Packing List. The Good: If it weren’t for the increased packability and performance of this jacket’s more-expensive counterpart above, we would certainly recommend this jacket to either men or women. 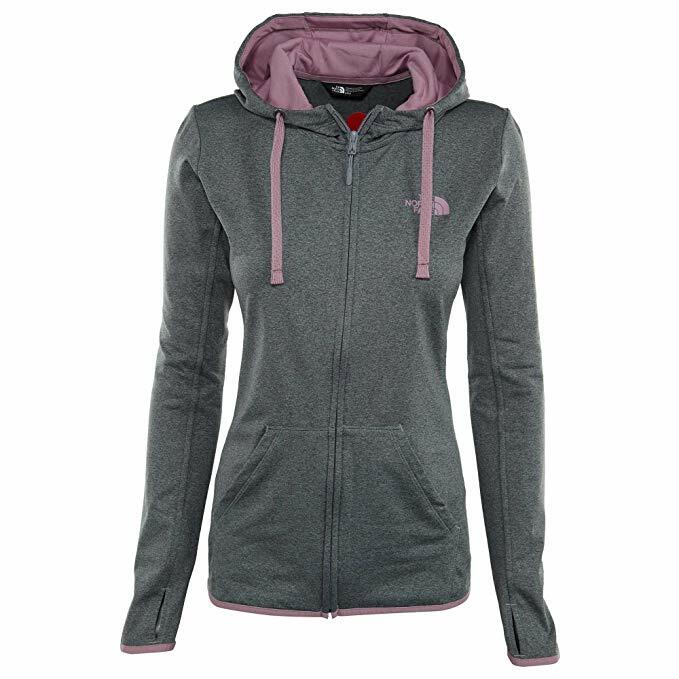 It’s lightweight, warm, comfortable, packable, quality, and retains body heat when wet. 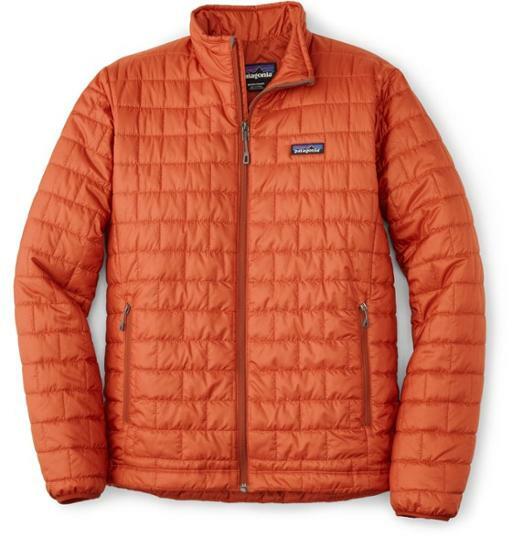 The Bottom Line: Our second suggestion would be to choose a Synthetic Fill Jacket like the Patagonia Nano Puff Jacket. You’ll be forgiven if you confuse the Nano Puff with the Micro Puff Jacket mentioned above (honestly, we were fairly perplexed what the difference was between the two.) In the end, it comes down to the type of insulation used – in this case, synthetic Fill – and the exterior fabric. Personally, for the price and performance, we give the edge to the Micro Puff Jacket. The Nano is a very close second though with it’s slightly increased bulk and is ultimately not as warm as its more expensive counterpart. The Good: Polyester Fleece Jackets are the absolute best for breathability during strenuous activities, making them the perfect accompaniment to warmer Synthetic Fill Jackets mentioned above. They are extremely lightweight, resist absorbing moisture more than any other material, and dry very quickly. The Bad: They are an expensive (though necessary) additional investment. Polyester Fleece is also pretty bulky and doesn’t compress very well making them tougher to pack into smaller bags. The Bottom Line: We highly recommend getting a Performance Fleece Like the Patagonia Better Sweater for when you’ll be doing highly aerobic activities like the hike to Glymur Waterfall or the Hot River. The Good: Affordable, lightweight, warm even when wet, comfortable, the cut is tapered to fit women’s bodies better and preventing drafts, packs into its own pocket, and comes in a variety of colors to choose from. The Bad: The collar is designed to fit snugly around the neck in order to prevent drafts, but may take some getting used to the first few times you zip it all the way up. The Bottom Line: The price of the Marmot Featherless Jacket makes this very easy to recommend for any petite women looking for a high-quality, fashionable, and warm winter jacket. This is Megan’s favorite new winter jacket for travel, as well as wearing around town on cold and windy days. The Good: Ultralightweight, highly breathable, and available in a variety of colors. This jacket also comes with thumb holes that Megan loves for wearing with gloves to prevent cold drafts of air from getting to her wrists. Unlike other Fleece Jackets, the Fave Lite is thin enough to pack well into smaller bags. The Bad: It may be a little too thin for anything but highly strenuous activity, so you’ll probably have to wear another layer over it. 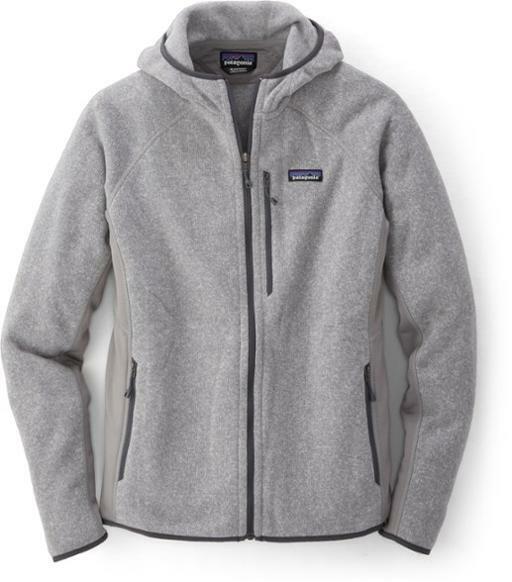 The Bottom Line: While not as thick and warm as the Patagonia Better Sweater, the Fave Lite is an easy Polyester Performance Fleece to recommend due to its ability to pack away much smaller than typical fleece jackets would. It’s also the perfect lightweight jacket for flying! 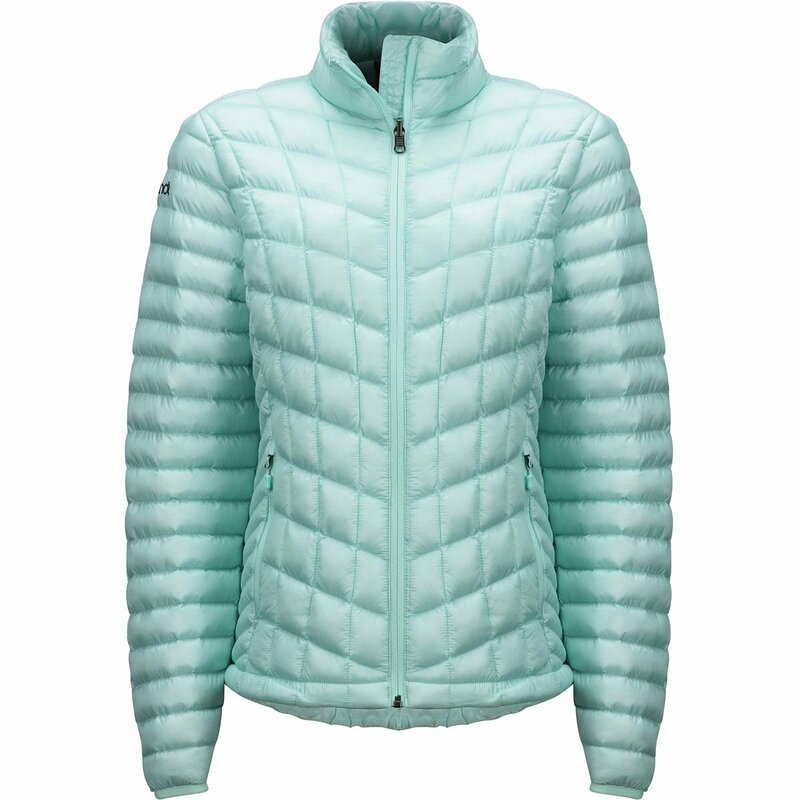 If you’re a woman who typically runs hot, or are looking for added insulation under your mid layer without adding bulk, then this may just be the perfect jacket for you. It fits perfectly under the Marmot Featherless Jacket mentioned above! While not quite as important as a jacket in keeping you warm, you should take some time to consider what type of pants you’re going to include in your Iceland Packing List. As if we haven’t said it enough already, Iceland’s weather is going to determine what your best options are. Your main concern when deciding what pants to pack is whether they’re comfortable, durable, warm, and fashionable. In colder, more extreme weather, you’re going to want to have all three layers on and the best Mid Layer in this scenario is Polyester Fleece. That means leggings and yoga pants for women and fleece pants for men. 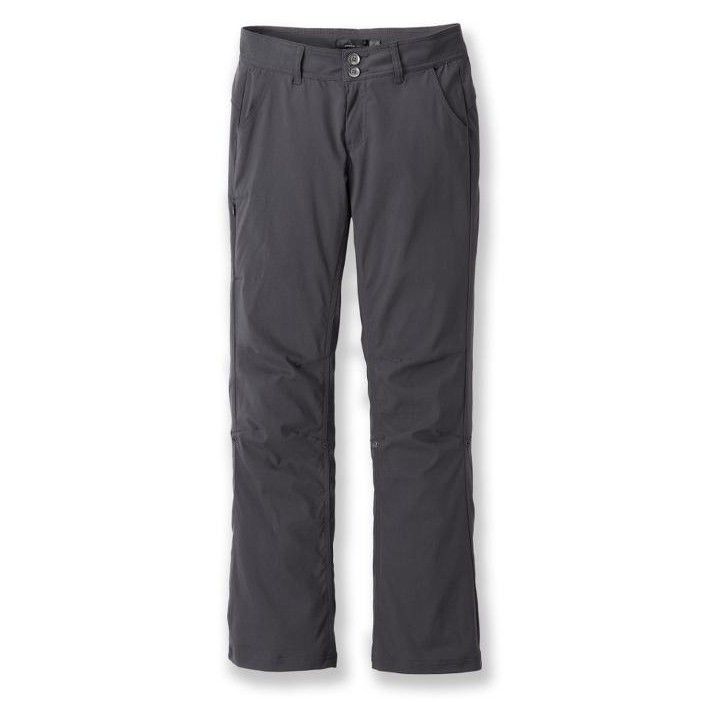 Hiking pants are probably your best option on mild days, for both men and women. We recommend sticking to neutral colors (black, grey, brown, or khaki) to go with any outfit and work well for urban environments as well as outdoor activities. Whatever you choose to bring, do yourself a massive favor and leave your jeans at home. They are too stiff and heavy, don’t provide enough warmth for their weight, and become even heavier and freezing cold when wet. And you can be certain that at some point they’ll get soaked. The Good: Warm, comfortable, lightweight, moisture resisting, quick-drying, and stylish enough wear out in public without looking like you’ve given up on life. The Bad: Like all polyester fleece, these do not block wind, and you may think they’re a bit pricey for sweatpants. The Bottom Line: The REI Teton Fleece Pants are the absolute best mid layer pants for Iceland, travel, and life in general! Seriously, these pants are perfect for traveling, lounging, flying on an airplane, hiking – whatever you’ve got going on, you’ll never want to take them off! RJ absolutely loves these pants and has worn them daily for weeks, lounging after work, without so much as a tinge of odor. The Good: Stylish, very comfortable, lightweight, highly packable, and with stretch fabric for liberated movement. They’re also durable and abrasion-resistant. The Bad: These pants are not very good insulators without a proper base layer underneath. The Bottom Line: Both pairs of pants are very comfortable due to their stretch fabric which allows much more freedom of movement than you’d believe. They’re a more stylish alternative to nylon rainpants and fleece sweatpants for easily transitioning between rugged hikes and urban exploring. 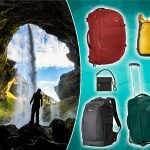 There are just enough pockets to suit your needs without the unnecessarily bulky cargo pockets that most other hiking pants tend to have and the ankles are cut to fit well over heavy boots. 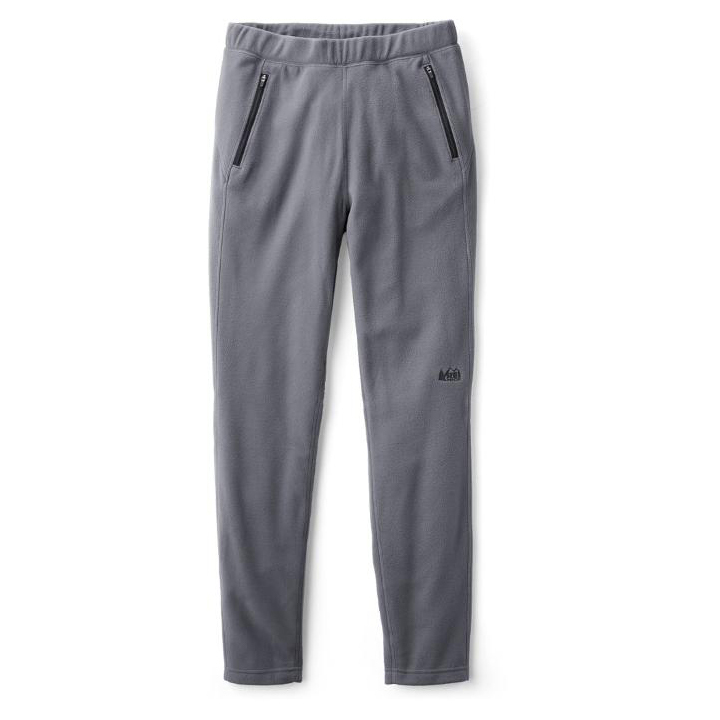 These hiking pants are best suited for only mildly colder weather or strenuous activities where overheating would be a concern. For colder temps, you’ll most likely need to layer your polyester fleece under them for added insulation. If you’re having trouble deciding between either of these or a good pair of sweatpants, we definitely recommend investing in the sweatpants – they’ll keep you warmer! The Good: Affordable, insanely comfortable, highly breathable, quick-drying, warm, packable, and they don’t restrict movement. The Bottom Line: Leggings or yoga pants are the perfect mid layer pants for Iceland and chances are good you already own a pair (or more) that you absolutely love! There are many different thickness options available from different manufacturers, so it’s important to check any you may already own prior to your trip. Luckily, there are many affordable styles available online with added fleece linings for increased warmth. 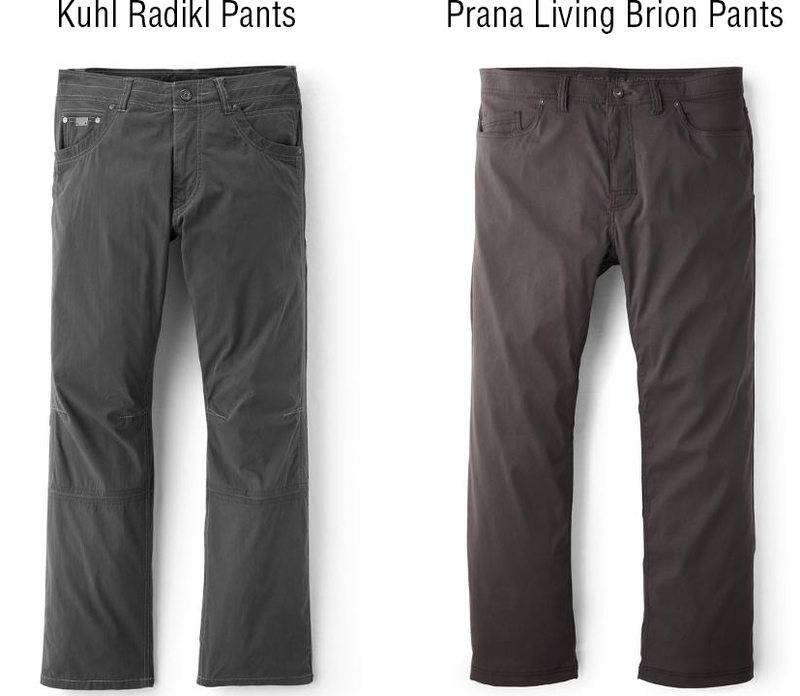 The Bottom Line: The PrAna Halle Pants are very comfortable due to their stretch fabric which allows much more freedom of movement than you’d believe. They’re a more stylish alternative to nylon rainpants for easily transitioning between rugged hikes and urban exploring. 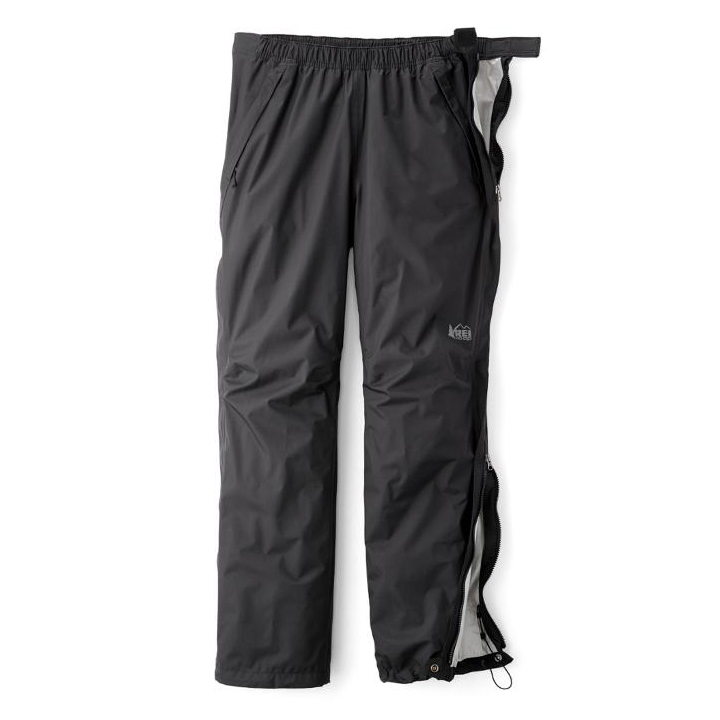 These hiking pants are best suited for only mildly colder weather or strenuous activities where overheating would be a concern. For colder temps, you’ll most likely need to layer your leggings or yoga pants under them for added insulation. 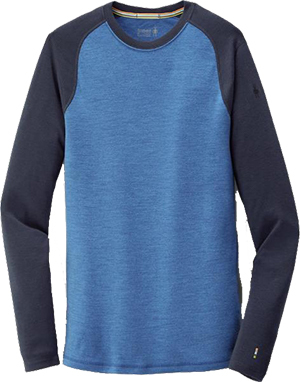 The Base Layer is called as much because it’s worn directly against your skin. It consists of a shirt, pants, socks, scarf, and even a balaclava. Contrary to popular belief, your base layer (often referred to as thermals) are not really worn to keep you warm – that’s what your Mid Layer is for. While your Base Layer does provide some insulation, its main purpose is to wick moisture (sweat) away from your skin to the outer layer where it can be evaporated. For this reason, it’s not necessary for your Base Layer to be very thick but should feel great against your skin and be exceptionally breathable. While Nylon works incredibly well as an Outer and Mid Layer material at preventing the wind from zapping your body heat, it fails miserably as a Base Layer. This is due to the fact that it doesn’t breathe or wick moisture well enough; the two most important actions a Base Layer needs to perform. Cotton is an excellent fabric for everyday use – it is cheap to manufacture and feels great against your skin. But as a Base Layer in cold weather, it is actually worse than wearing nothing at all. Cotton soaks up a lot of moisture and dries incredibly slowly. Couple this with the fact that it breathes extremely well and you’re left with a fabric that feels like ice against your skin – not what you want to have when it’s cold and the wind is blowing! Seriously, avoid Cotton at any cost on your trip to Iceland! 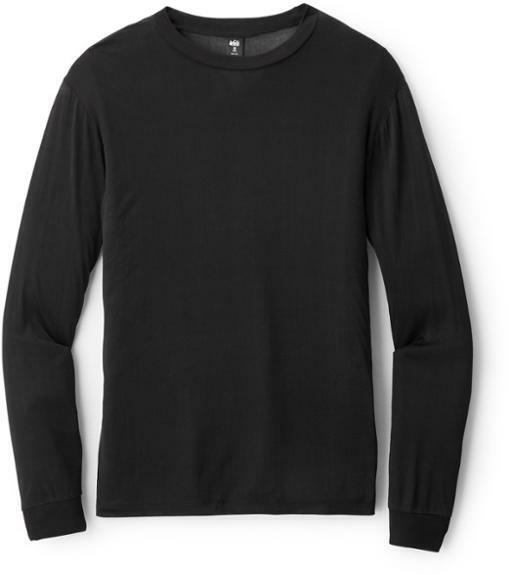 The Good: Merino Wool is the best fabric material at wicking moisture away from your skin, feels soft, and non-itchy. It retains warmth when wet, breathes superbly, and is a fantastic temperature regulator. 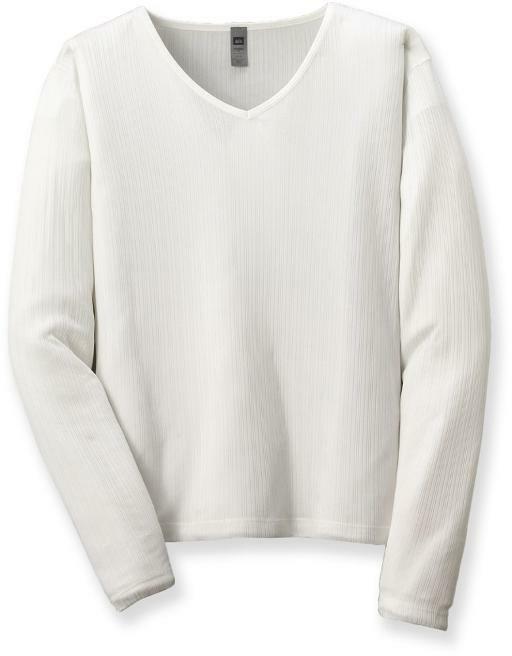 Merino Wool also naturally prevents odor-causing bacteria from growing, meaning you can wear garments over and over without worrying about it stinking! The Bad: Merino Wool is an expensive investment. It’s also the heaviest option of all the Base Layer Materials and gets even heavier when wet. While it does take a long time to fully dry, the fact that you don’t lose all of your body heat when it’s wet means that this isn’t quite an important issue. Some people might find Merino Wool itchy, so you should test each garment before your trip to ensure it doesn’t drive you nuts! The Bottom Line: We believe Merino Wool is the perfect Base Layer fabric for Iceland’s cold climate and wet conditions. It’s best for anaerobic activities, such as sightseeing, and light aerobic activities – like short hikes with a small pack – in extremely cold conditions. Its ability to smell fresh and clean after multiple uses mean it excels as a Base Layer for frequent travelers as you can go days and even weeks between washings. We think it’s worth the investment for your trip to Iceland, and for future travels around the World! 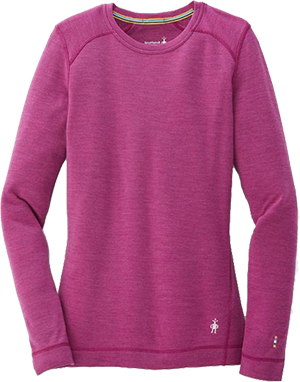 You might see many lightweight merino wool base layers blended with synthetic fabrics like nylon. This is done to add durability to the very thin natural fibers as Merino Wool is susceptible to rapid wear from repeated abrasions. This is especially true for Merino Wool socks – you’ll typically see a blend of Merino Wool and Nylon (about 18%.) Adding these synthetic fibers doesn’t decrease its capabilities as a base layer – in fact, it’ll make them last a lot longer! The Good: Silk feels great against the skin, won’t cause you to overheat, and slips easily under any mid layers. It also packs unbelievably well due to its ultrathin fibers. The Bad: Silk is not as good as merino wool in durability, moisture wicking, heat retention, and odor prevention. It’s is also the most expensive Base Layer material available. The Bottom Line: While not most peoples’ first choice, Silk is a surprisingly effective Base Layer. Bottom line, it feels AMAZING against your skin – better than any other material. It’s also the thinnest, lightest-weight fabric, so it packs down into even the most over-stuffed luggage. If you’re someone who typically “runs hot” – even in the coldest weather – then you’ll probably really love Silk because it won’t cause you to overheat. If you like the feel of silk against your skin but want a little more wicking capabilities than silk offers, then you can always “double up” and add a lightweight wool base layer over it as well. Sadly though, durability is quite an issue with Silk, and they aren’t going to last more than a year or two even with delicate use. Those who find Silk Base Layers right for them are really going to fall in love with them, however, and will probably find they’re worth the repeated investment. The Good: Cheap, durable, moisture-wicking, soft, warm, fast drying, and warm when wet – Acrylic is a fantastic fabric material. 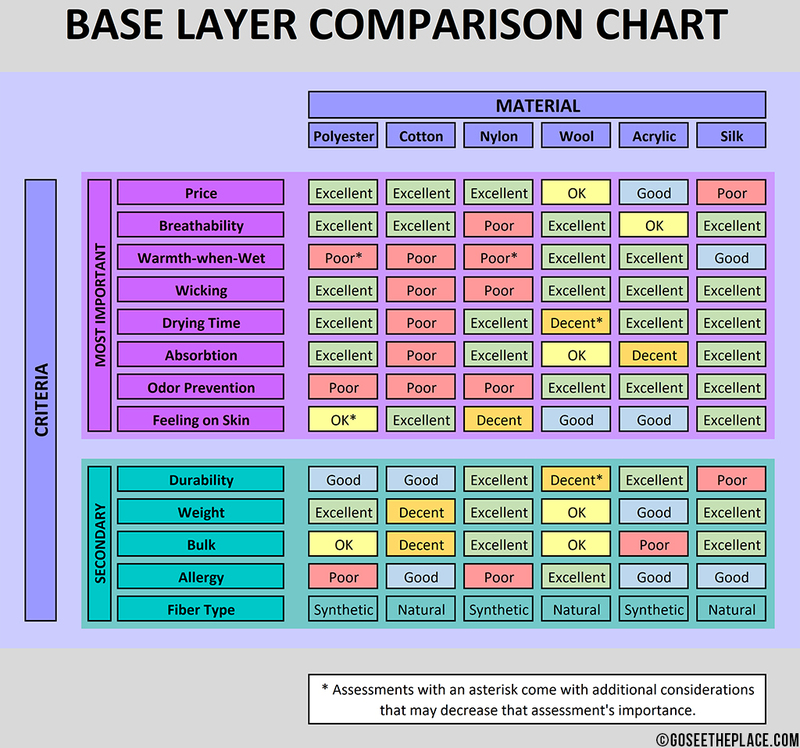 The Bad: Acrylic has only moderate breathability compared to other Base Layer materials – only Nylon performs worse. It is also the bulkiest of all the fabric types, meaning it doesn’t compress well and makes it difficult to pack. The Bottom Line: Acrylic is not as ubiquitous as other Base Layer fabrics for outdoor gear because it doesn’t breathe very well. 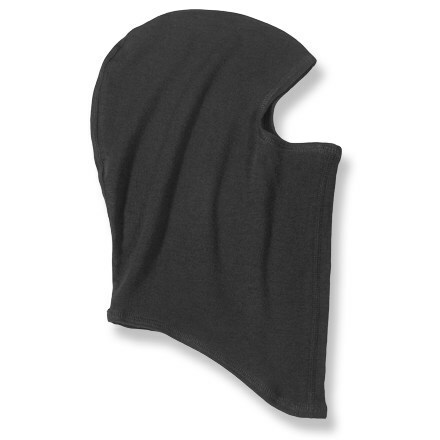 In fact, you won’t see 100% Acrylic garments other than hats, beanies, scarves, and possibly gloves – all intended to be worn on extremities directly exposed to the elements to maximize breathability and prevent overheating. This doesn’t mean that Acrylic is bad or should be avoided – quite the opposite! What Acrylic does best, it does really, really well! The Good: Polyester has incredible breathability and the best warmth-to-weight than any Base Layer fabric. It doesn’t absorb moisture, dries very quickly, and wicks sweat away from your skin leaving you feeling exceptionally dry and warm. The Bad: Polyester’s biggest downfall is the fact that it doesn’t naturally prevent body odors from getting trapped and can become smelly rather quickly. It’s also one of the bulkiest of the various fabrics, so it doesn’t pack down as well as others. For some, Polyester has a synthetic feeling that they just don’t like. Technically, Polyester will not keep you warm once it gets wet but is so good at preventing moisture from being absorbed into the fibers, and dries so quickly, that we don’t really feel it’s that big of an issue. The Bottom Line: Polyester Base Layers are an excellent cheaper alternative to more expensive fabrics like Merino Wool and Silk. It covers all the necessary qualifiers for what a Base Layer should be required to do, but we feel that the stink-factor of Polyester makes the investment in higher-quality fabrics worth the extra money.